Place dumbbells on each side of the bench. 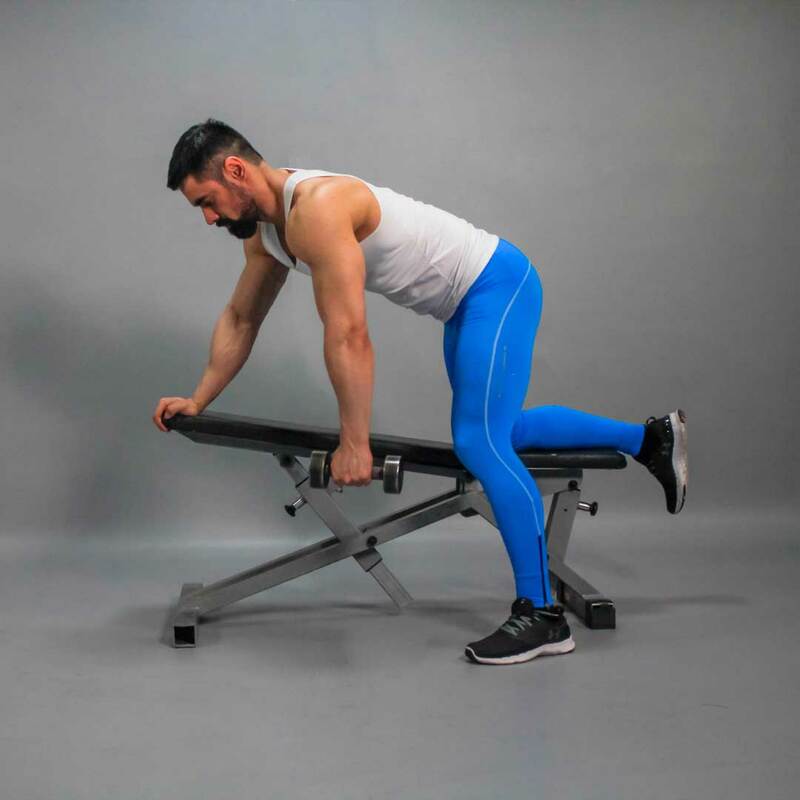 Bend your right leg in the knee and place it on the bench. Lean your torso forward until your upper body is parallel to the floor. Place your right hand on the bench edge. Grab a dumbbell with your left hand. Keep your back straight. Your palm should face inwards. This will be your starting position. Exhaling, pull the dumbbell straight up, keeping your elbow close to your body and the torso stationary. Concentrate on the back muscles work. Make sure that the movement is performed with the back muscles but not with the arms. The torso should remain stationary and only the arms should move. Don’t overload the forearms. Inhaling, slowly lower the dumbbell down to the starting position.